There’s nothing like hitting the open road to see our beautiful Pennsylvanian countryside, or exploring your nook of the city by bike. 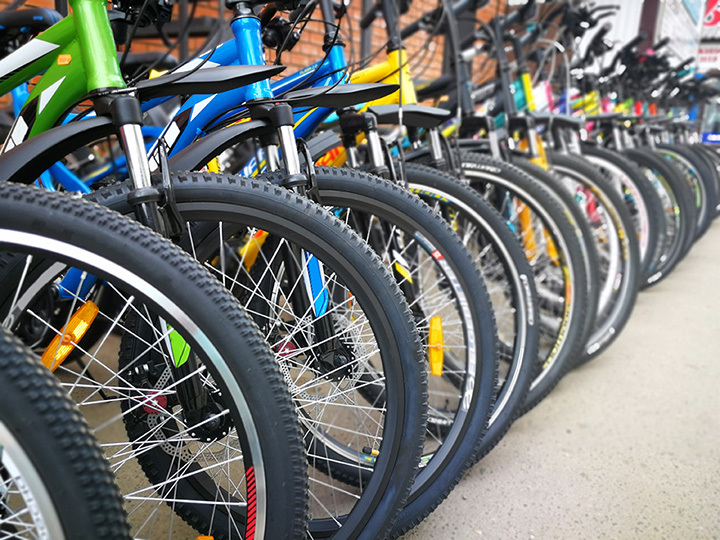 Whether you’re an experienced cyclist, looking to get back in shape, or just teaching your little ones to ride their first bike, the bike shops of Pennsylvania are the best of the best! Here are our 10 favorites. For almost 30 years, this Trappe location has been providing quality assistance, advice, and product to the community. The folks at Bikesport breath biking, and their customer and eco-friendly business practices are a delight no matter how masterful your riding is. Guy’s looks to present a safe, comfortable biking experience, no matter your skill level. Every two-wheeler to come out of this Feasterville shop is painstakingly assembled and lovingly sold by an expert team. Guy’s team is standing by and ready to help, whether it’s the guarantee they extend to every cycle, or just some friendly advice on trails and equipment. Twisted Cog is for those who want to hit the ground biking. Visit for advice, quality products, and even indoor training opportunities for the cyclists among us. With 16 locations in Pennsylvania and Delaware, Bike Line is a cycling colossus. Whether you’re looking to buy a new or used bike, have your current ride repaired, or join like-minded enthusiasts in one of their events, any location of Bike Line is a great choice to get you—and keep you—on the road. Earl started refurbishing and selling bicycles as a young teen, and his expertise has now reached epic levels. Whether you’re in the market for a new or used ride, want yours repaired, or just want a fun activity for a rainy afternoon, a trip to this Lewisburg location is a must. Earl’s even rents U-Hauls and has an onsite bakery/cafe to keep you fueled up and peddling! If you’re looking for a fair price and friendly service, Pearson’s is second to none. Visit for down to earth assistance, and a passion for all things biking, the likes of which you’ve never seen. The motto at Gung Ho is “just ride,” and a visit to their York location is designed to help you do just that. Whether you like a casual outing with the kids, or you hit the pavement and cycle some serious miles, Gung Ho makes your passion their own. They also offer an incredible number of group rides, designed to get you going and making pedaling pals all in one step! Merv’s is an institution, providing quality sales, repairs, and advice to cyclists of all ages and abilities. Hands on service will help you find the absolute perfect bike, and help you keep it that way no matter where the road takes you. The Bicycle Shop has been providing down to earth service for over 70 years. From college students to professionals to families, the customers keep coming back generation after generation. Whether you need a new helmet, cool gear, or a whole new bike, Bicycle Outfitters has you covered. An institution in Lancaster County, this Elizabethtown location is dedicated to gearing you up for your best possible ride, no matter what that means to you.